Hi Preeti! Thank u for the tarot readings u gave me. It has given me more clarity for my path ahead in life. I am more visioned to focus on what I should be focusing on. The preside key points u have told me will help me achieve what I want for my life. It will really help me to base my decisions in life upon. Thank u once again. Will keep in touch with u and let u know my progress ! I would like to say that she boost my confidence. The ways she answers me it's very good and explains clearly. I will go for more tarot reading in future. Thank you so much, Priti. I have done tarot reading with Priti, I would love to say she is the best tarot reader. 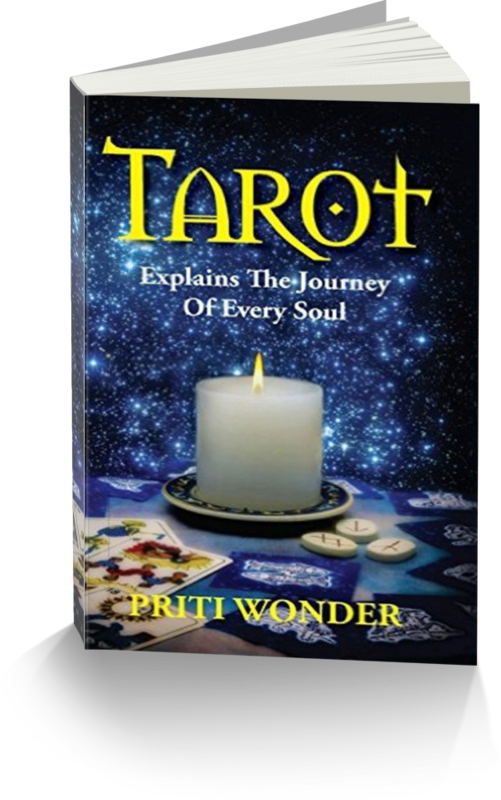 The knowledge she has and the way she explains you, I get 100% solution from Priti's tarot reading whenever I do with her.If you are looking for the unsolved question and if your life is going in the difficult path and you are not able to find the answers. I suggest you go with Priti's tarot reading. You will get 100% satisfaction. I would like to say the master is in her field. Priti did my reading few days ago and I was amazed with her knowledge and wisdom in her field. She was not only marvelous in her reading but also revealed several undiscovered areas of my life that were, til now, not explored by me. Thank You very much Priti for your wonderful help. She is wonderful in nature & same with her tarot reading. One thing I really liked is the ability to listen patiently. She is clear & gives the answers with much probability. It's worth following her on social media and to follow her closely; If interested you can join the course to study tarot reading, which she is providing at the much cheaper price! Priti thank you for your super reading. I can feel your positive energy and your comments are serious and believable:)) !! !